When the State of Andhra Pradesh was formed in 1956, certain safeguards were envisaged for the Telangana area in the matter of development and also in the matter of employment opportunities and educational facilities for the residents of that area. The provisions of clause (1) of article 371 of the Constitution were intended to give effect to certain features of these safeguards. The Public Employment (Requirement as to Residence) Act, 1957, was enacted inter alia to provide for employment opportunities for residents of Telangana area. But in 1969, the Supreme Court held the relevant provision of the Act to be unconstitutional is so far as it related to the safeguards envisaged for the Telangana area. Owing to a variety of causes, the working of the safeguards gave rise to a certain amount of dissatisfaction sometimes in the Telangana area and sometimes in the other areas of the State. Measures were devised from time to time to resolve the problems. Recently several leaders of Andhra Pradesh made a concerted effort to analyse the factors which have been giving rise to the dissatisfaction and find enduring answers to the problems with a view to achieving fuller emotional integration of the people of Andhra Pradesh. On the 21st September, 1973, they suggested certain measures (generally known as the Six-Point Formula) indicating a uniform approach for promoting accelerated development of the backward areas of the State so as to secure the balanced development of the State as a whole and for providing equitable opportunities to different areas of the State in this matter of education, employment and career prospects in public services. This formula has received wide support in Andhra Pradesh and has been endorsed by the State Government. 2. 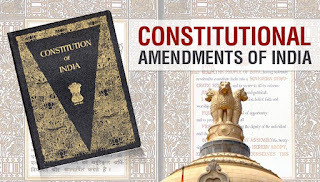 This Bill has been brought forward to provide the necessary constitutional authority for giving effect to the Six-Point Formula in so far as it relates to the provision of equitable opportunities for people of different areas of the State in the matter of admission to educational institutions and public employment and constitution of an Administrative Tribunal with jurisdiction to deal with certain disputes and grievances relating to public services. The Bill also seeks to empower Parliament to legislate for establishing a Central University in the State and contains provisions of an incidental and consequential nature including the provision for the validation of certain appointments made in the past. As the Six-Point Formula provides for the discontinuance of the Regional Committee constituted under clause (1) of article 371 of the Constitution, the Bill also provides for the repeal of that clause. NEW DELHI; UMA SHANKAR DIKSHIT. 1. Short title and commencement (1).- This Act may be called the Constitution (Thirty-second Amendment) Act, 1973. (2) It shall come into force on such date_666 as the Central Government may, by notification in the official Gazette, appoint. 2. 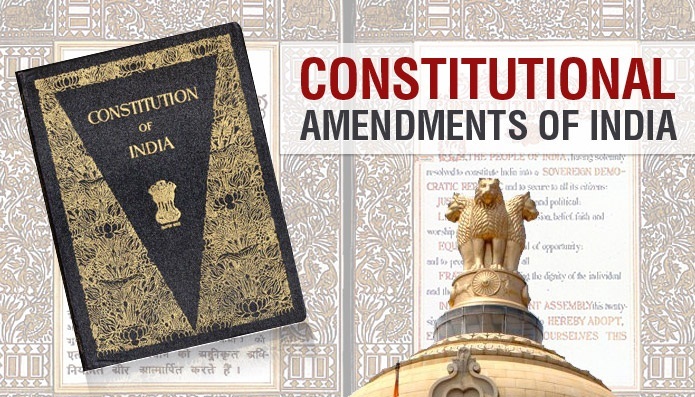 Amendment of article 371.-Clause (1) of article 371 of the Constitution shall be omitted, and in the marginal heading to that article, the words "Andhra Pradesh," shall be omitted. "371D. Special provisions with respect to the State of Andhra Pradesh.-(1) The President may by order made with respect to the State of Andhra Pradesh provide, having regard to the requirements of the State as a whole, for equitable opportunities and facilities for the people belonging to different parts of the State, in the matter of public employment and in the matter of education, and different provisions may be made for various parts of the State. (ii) in the matter of admission to any such University or other educational institution referred to in sub-clause (b) as may be specified in this behalf in the order, to or in favour of candidates who have resided or studied for any period specified in the order in the local area in respect of such cadre, University or other educational institution, as the case may be. Provided that the State Government may, by special order made in writing and for reasons to be specified therein, modify or annul any order or the Administrative Tribunal before it becomes effective and in such a case, the order of the Administrative Tribunal shall have effect only in such modified form or be of no effect, as the case may be. (b) no action taken or thing done by or before any person referred to in sub-clause (a), shall be deemed to be illegal or void or ever to have become illegal or void merely on the ground that the appointment, posting, promotion or transfer of such person was not made in accordance with any law, then in force, providing for any requirement as to residence within the State of Hyderabad or, as the case may be, within any part of the State of Andhra Pradesh, in respect of such appointment, posting, promotion or transfer. 371E. Establishment of Central University in Andhra Pradesh.- Parliament may by law provide for the establishment of a University in the State of Andhra Pradesh.". 4. Amendment of Seventh Schedule.-In the Seventh Schedule to the Constitution, in List I, in entry 63, for the words "Delhi University, and", the words, figures and letter "Delhi University; the University established in pursuance of article 371E;" shall be substituted.